Gordon’s traditional name is HYA-QUATCHA, named after his great grandfather from Scia-new, (CHEE-A-NEW), THE SALMON PEOPLE. Gordon has been elected Chief of T’Sou-ke (SAA- UKE) nation for the last 10 years, he sits on many boards encompassing the Salish Sea. He has previously been a logger, commercial fisherman, pipe fitter by trade and a Back Country Operations Manager with Pacific Rim National Parks Reserve. Gordon is a Coast Salish artist and carver, traditional singer and captain of T’Sou-ke (SAA-UKE) traditional dug-out canoes. Gordon and his wife, Marcella live in the village of SCIA-O-SUN, they have 6 children and 6 grand-children. 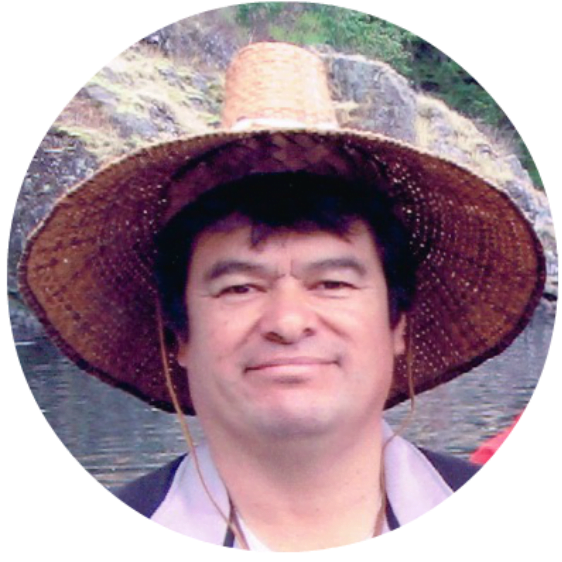 He is actively working closely with the community with renewable energy, food and water security, Coast Salish language revitalization and Economic Development.